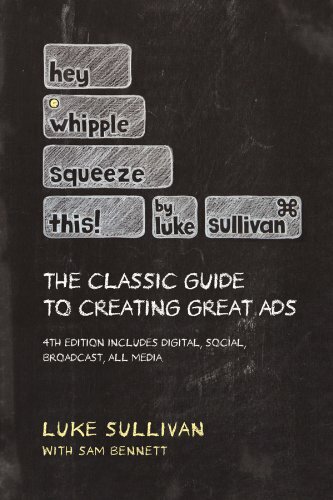 changing in the new world of advertising—and what isn'tHey Whipple, Squeeze This! will help sharpen your writing chops, unleash your creativity, and help raise the level of your work from hack to master craftsman. Sam Bennett is the creator of the Organized Artist Company, which is dedicated to helping creative people get unstuck, especially by helping them focus and move forward on their goals. She holds workshops, teleclasses, public speaking engagements, and private consulting. Get It Done: From Procrastination to Creative Genius in 15 Minutes a Day is her first book.